Are video games causing peanut allergies? A new study finds that kids exposed early on to peanuts can avoid developing the allergy altogether. A new study has found that kids can potentially kick peanut allergies early on by being exposed to lots of peanuts early in their youth — but there may be another interesting way to prevent allergies from developing: stop them from playing video games and kick them out into the sunlight. A huge amount of kids have peanut allergies, with estimates ranging from 8 percent of the world to 2 percent of U.S. children. The new study found that exposing them to peanuts early on in life could help them avoid getting the allergy in the first place. But why is the peanut so potentially deadly to a large segment of the population, but harmless and even beneficial to the vast majority? Scientists think it may come down to an overly active immune system. Some even suggest that the immune system has seen so many threats eliminated that it’s actually looking for something to do, prompting the immune system to attack food-based allergens instead, according to a Popular Science report. But why the peanut in particular? 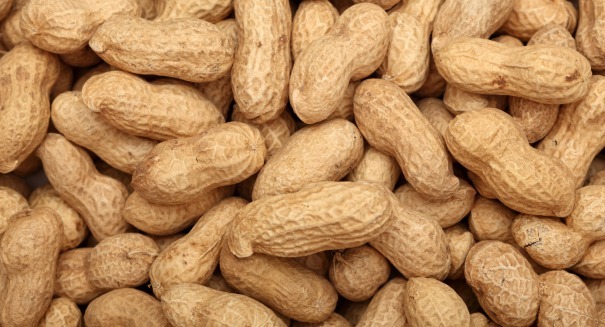 A peanut is unique because it contains proteins that can’t be found in most other foods, and thus it promotes a stronger response from the immune system. And roasted peanuts may change the proteins in a way that causes the immune system to focus on them even more, which would explain why allergy rates are lower in China where they typically boil rather than roast peanuts. Here’s one interesting theory: video games are causing it. The body needs vitamin D, which it can only get from sunlight, to help assist the immune system in its ability to figure out which substances are fine for the body to absorb. If children aren’t spending enough time outdoors, their immune system might get sloppy without vitamin D and start mislabeling peanut proteins as harmful to the body. This theory is backed up by the American Academy of Allergy, Asthma & Immunology. The organization says that the prevalence of food allergy has been rising in the past decade, particularly in Western countries. In tandem, vitamin D levels have been dropping as people spend less time in the sunlight and more time in front of their computer or TV screens.